I can't believe that this story is so relatively short and has almost no background information, yet still was able to absolutely destroy me. This was truly an amazing story. Style:This is probably the best done style out of any story I've read here. It's amazing how the author drops the reader into a story after it already happened yet still manages to make the reader feel involved and gradually provides information. There's a subtle shift throughout the story as more and more is revealed, and I thought it worked outstandingly. Story: I was skeptical when I saw this was an epilogue to a story that never actually existed, but I found the overall story to be fascinating. Just enough from the past is revealed to provide some context, but the present storyline is still given enough weight to make the reader feel engaged. Grammar: There were a couple things in the earlier chapters, but nothing too noticable. Character: For knowing nothing about their past, I found myself getting really involved with each of the characters. They each have their own unique personalities, and it's clear that what they're doing and what they've done weighs heavily on them. It was surpising to say the least. In short: I was immediately enthralled with the world and characters. The story progressed subtlely and beautifuly. I'm sad this ended. It's one of my favorites. Thank you for writing it. 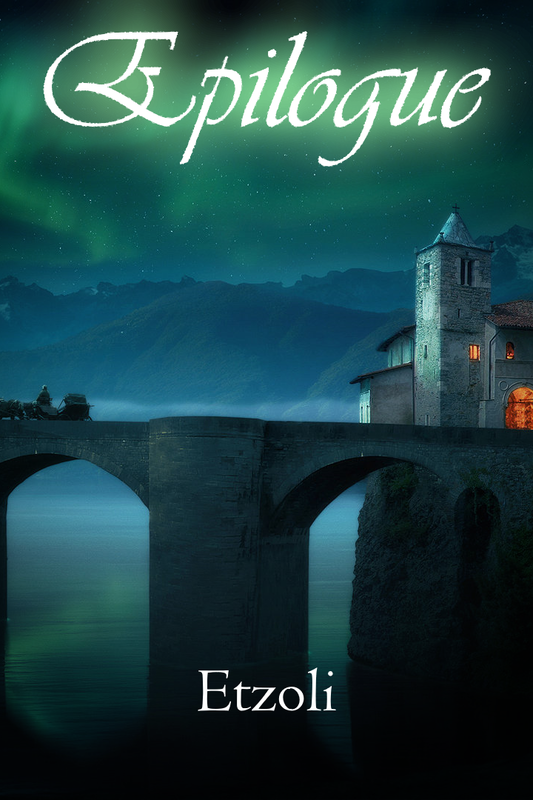 Epilogue is what every writer of fantasy web serial should strive to produce: an instantly engaging tense and intense character-driven story that grabs you and won’t let go. As the name implies, Epilogue starts not at the beginning of the story, but at – or perhaps more precisely, after – its end. Telling the tale of three survivors of a seemingly-typical isekai (“different world”) story, the story bears few of the tropes that often bog down and dull these stories. This can be ascribed to the stories structure: having returned to their home, an utterly average suburb in a forgettable town on the west coast of the United States, the characters are bereft of almost all of the power they came into in the course of their lengthy seven-year adventure – a period equating to a few moments on Earth. Restored to their adolescent forms, with all limitations those entail, these three once-again-teenagers must struggle to come to grips with what they have experienced and how those experiences have changed them. And struggle they do. Things start to fall apart immediately: relationships, school schedules, even languages all long-forgotten suddenly become relevant, and three young adults used to wearing the weight of the world on their shoulders now find their burdens reduced to the inconsequential matters of teenagers – and find further that the fit chafes. Matt strives to force himself to fit in and forget about it all; Carl has none of it and almost immediately begins to seeking a way back. Jen, caught between these two, suffers a critical loss of identity even as she tries to rediscover the person she was. The characters are the meat, the backbone, and the beating heart of Epilogue, and they make their pains acutely felt. Facing constant challenges from themselves and each other, the interplay between these three is at times strained and even heartrending. Indelibly marked by significant traumatic experiences, all three must come reconcile with a journey that changed them irrevocably – and the results are gripping for the reader. Told from the character’s perspectives, the story embraces the inner monologues of these three, and reminds us that communication between people is hard, especially when what we want or even need to express is uncomfortable. Etzoli makes great use of point-of-view to illustrate how an overlap of experience and trauma can end up being divisive and even destructive in relationships once thought infallible. While the word choice and writing style are eminently readable, the text as presented could absolutely benefit from a proper proofreading – minor grammatical errors abound, though they rarely break immersion. Overall, Epilogue tells the tale that many of us have wondered about, and does so in an appropriately challenging manner. This is not a happy story, and the conclusion leaves one concerned for the futures of these characters. Yet Etzoli largely keeps the stress from feeling overwrought, and the results, while somewhat sad, do make for a satisfying journey. Likely the best new story on Royal Road in 2018, the relative brevity (only slightly longer than an average novel) means that there is no reason not to give this tale a look. This... was a wonderful read, a genuinely engaging story of what would realistically happen after the wonderous madness of fantasy that encompasses the lives of children leaves them dumped back where they once were, in a world of the mundane. It gives a harshness that should be present in isekai things but just isn't and benefits for it, it gives a harshness to the everyday lives we live and have lived from a perspective not many can give and likewise benefits for it. It did not shy away from those broken and lost but neither did it shy from showing the strengths of those forged under chains and moral strength. Usually, when I'm reading fics on RRL, I'm just looking for some good way to pass the time. Yeah, there are good stories out there, some that pull you in, but most of them are just fluff that work to kill time. The story is good in and of itself - interesting plot, well-paced action, some amount of uncertainty and enough agency for the characters without feeling like they benefit from any sort of plot armor. However, where the story really shines is in the world-building and the characters - this story starts at the end of a story, as indicated by the name, Epilogue. The three main characters just freshly made it back out of 7 years of an alternate, high-fantasy universe, and we're thrown right into it. However, without feeling heavy-handed or unnatural, the author is able to build up the entire 7 years and the entire alternate dimension in ways that feel meaningful and realistic. This story really makes me want to read a tale about the 7 years they went through. As to the characters, I'd rate them a 7 out of 5 if I could. They are incredibly well put-together, with rich backstories and complex characters born from those experiences. The closest character I can think of to Matt is Rand Al'Thor from the Wheel of Time, in terms of both his attitude and the detail put into his character. My only criticism in this regard is that Sara feels a bit too good: She takes things in remarkable stride, with little doubt, and is incredibly perceptive to the point where she is a match for the other characters, despite the fact that the 3 other characters were forced to hone their wits and instincts through 7 years of bloodshed. This story has an amazing depth, well beyond just about any other story I've read on the internet, not just RRL. This demands publishing in calligraphied hardback and paperback, not just the typical amazon or otherwise digital release. I haven't said it for any other story on this site but this qualifies for a movie script or maybe even a TV or Netflix miniseries. We don't have enough stars for this, I'm gonna have to go back to most of my other reviews and reduce their scores so I can normalize the values. This is truly, truly good writing. It's not some fantasy litrpg trash novel that most of us like reading on RoyalRoad - the quality really reminds me of the The Wandering Inn. It has depth, complex characters, and a twisted plot. Don't underestimate the title/description. This is NOT just a story about characters struggling to adapt to coming back home. Their past plays a major role in how they perceive and interact with each other, and it gets dark. I always felt that using multiple POVs was overused. As a reader, I like the focus on one character to really flesh out the personality, and give a skewed perspective. I like to guage how the main character's bias/personality makes them ignorant of what's going on, and to see if I as a reader can pick up on things to predict what's really happening. Imo, multiple POVs makes it too easy, and the quality of writing usually shows. It takes a really good cast of characters/plot to pull it off, but Epilogue did. I've been on RoyalRoad for years, and every chapter I expected dozens of comments - but I only ever saw a few at most. Maybe cause the author posted all the chapters right after each other. Either way, I had to leave a review to contribute to the recognition this story deserves. Definitely going to take a look at the author's other novel. The three characters are so great here I could read them forever. Please dont stop writing them. I love how you do worldbuilding too. I really want to hear more about Cyraveil and I love how the characters dont just tell me about it. This is the best kind of worldbuilding. Listen up idiots: this is is QUALITY LITERATURE. Forget your crappy video games and come read a real book. Etzoli wrote something usually reserved for the store that would cost you a nice tenner to pickup, and he gave it away for FREE. The characters are sublime. The plot is twisty and brutal at just the right moments. The world gives you just enough to fall in love before tearing it all to pieces. You'll think yuu were blown away, until you look back and realize you saw it coming a mile away and were too stupid to notice. 8/5, best story on RoyalRoad. I made this account just to get you to read it. Now read it. Epilogue is a masterful work of art which follows a group of four whom have suddenly returned to earth from another world. Each of the four characters returns broken emotionally and mentally from the events which occured in the other world. The characters in Epilogue will draw fourth complex emotions which will allow you to feel a sense of identity for each character. The background world building leaves you desiring more which in combination with the extremely well written characters creates a wonderful short story which could be built upon in the future. The premise of the overall story is quite interesting. However, the real strength in this story lies in the characters and their interactions. The three main characters feel like they naturally mesh together perfectly. I really look forward to seeing where this story goes. Update: It's finished now, but I still want more. Moar!